One of the worlds I thought one of the most fascinating when I was a kid. I is amazing to see a spherical shape on one side and giant cliffs on the other side. I was always wondering what happens to this moon. ^Yeah, Miranda's landscape is weird. 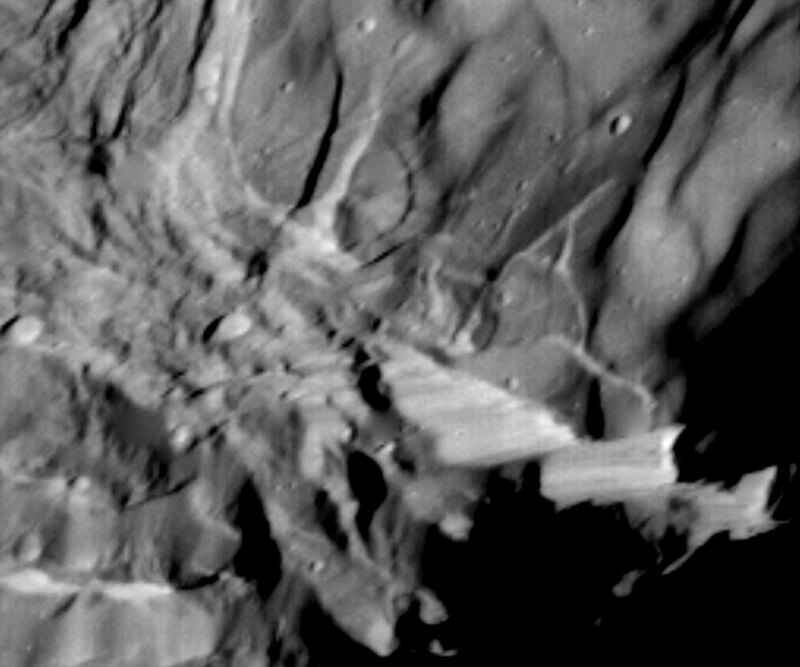 I hope that a Uranus orbiter like Cassini will be launched relatively soon. 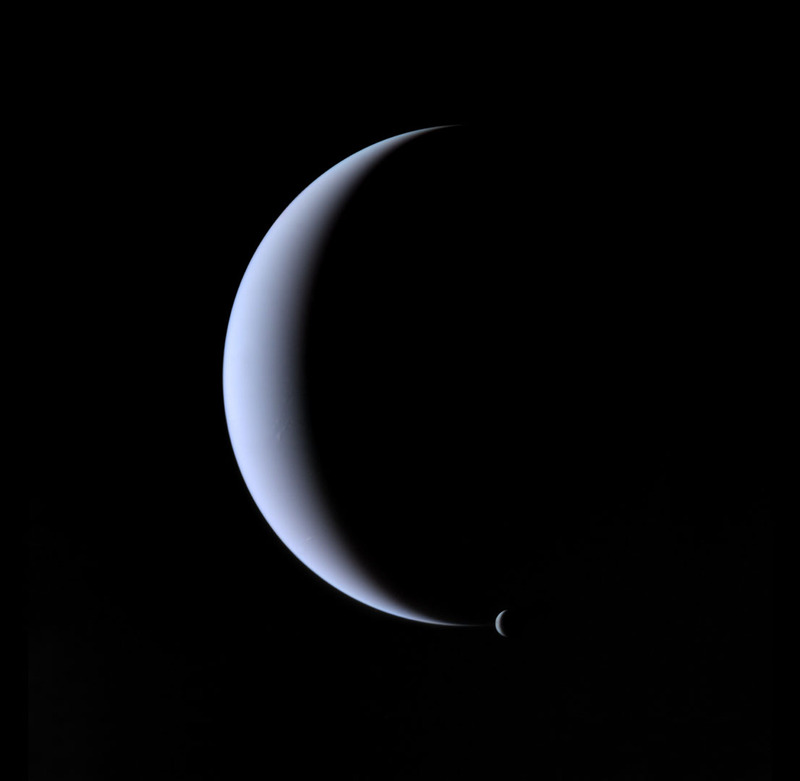 Unfortunately, I think the lack of knowledge we have about Uranus and its moons is part of the reason why there's not much incentive for such a mission: without knowledge to pique our interest and provide questions to answer, there isn't that much incentive. I mean, does anyone know anything interesting about Ariel, Umbriel, Titania, or Oberon? Right now, as far as human knowledge goes, they're just four generic ice worlds. 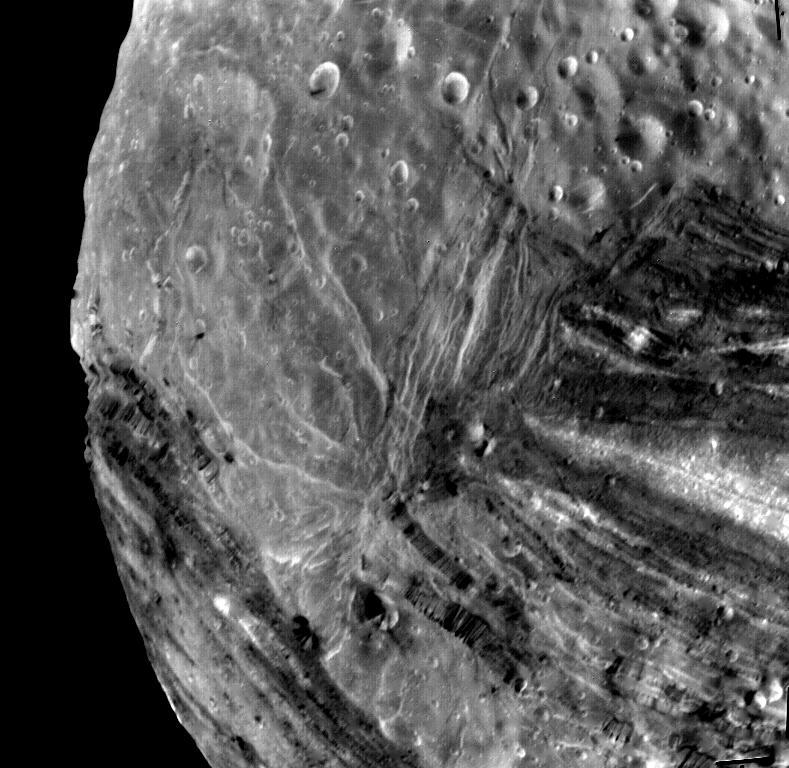 Even though they probably harbour secrets and wonders of their own, much like the probes to Jupiter and Saturn have discovered each of their major moons to be fascinating, distinct worlds. I mean, does anyone know anything interesting about Ariel, Umbriel, Titania, or Oberon? Right now, as far as human knowledge goes, they're just four generic ice worlds. These four Shakespearian names are synonyms of mystery. Each moon have its own color, and its own surfaces features. And I'm sure that we will discover something by exploring these worlds. One unrelated questions that remains about the outer planets is why Neptune's winds are so strong ? Thanks for the informat, well done, guy. it really enrich my knowledge about moon, impressed me. 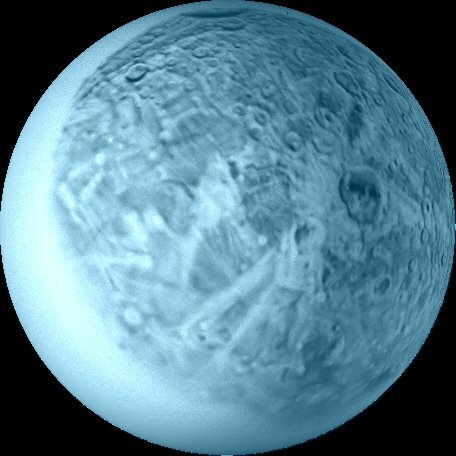 One amazing thing about Uranus' moon system, is that it is very similar to Jupiter's one. 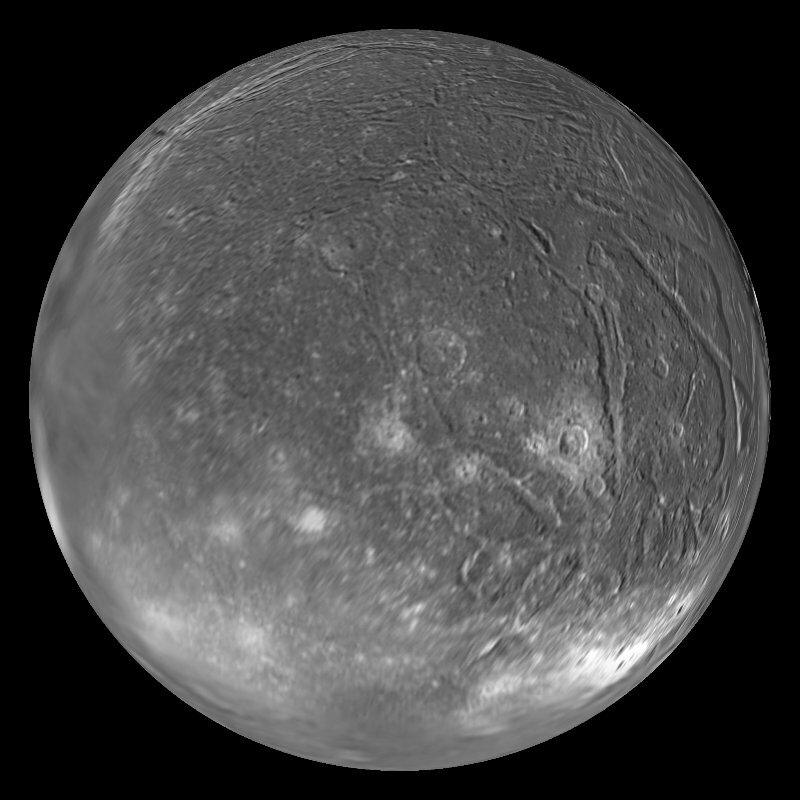 Excluding Miranda, Ariel is Io, Umbreil is Europa, Titania is Ganymede, and Oberon is Callisto. Their relative sizes is very similar, and masses relative to parent planets are very similar too. Maybe formation processes was quite similar? Saturnian and Neptunian moon systems looks a bit similar too: they both have one big moon and a lot of small ones. 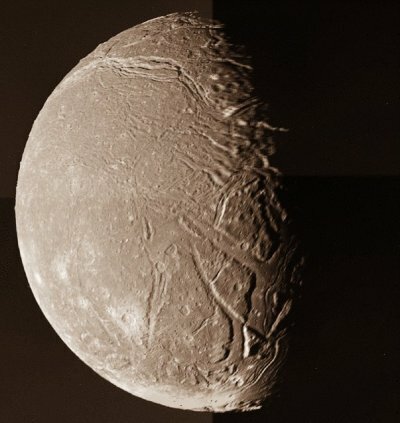 Titan is 95% of all moons system mass, and Triton is 99%. However, their formation processes obviously was different: Triton have peculiar retrograde orbit and assumed to be captured object. Maybe if we discover moons on extrasolar planets, we'll find such patterns here. I wonder how feasible a probe sent to Uranus or Neptune on a rapid New Horizons-esque trajectory would be... You could potentially house the main probe inside an aeroshell, and then perform an aerocapture manuever on arrival. The trouble there, though, we don't really know as much about the Uranian/Neptunian atmospheres as we do, say, Mars' atmosphere, so getting the entry vector perfect would be a real challenge. 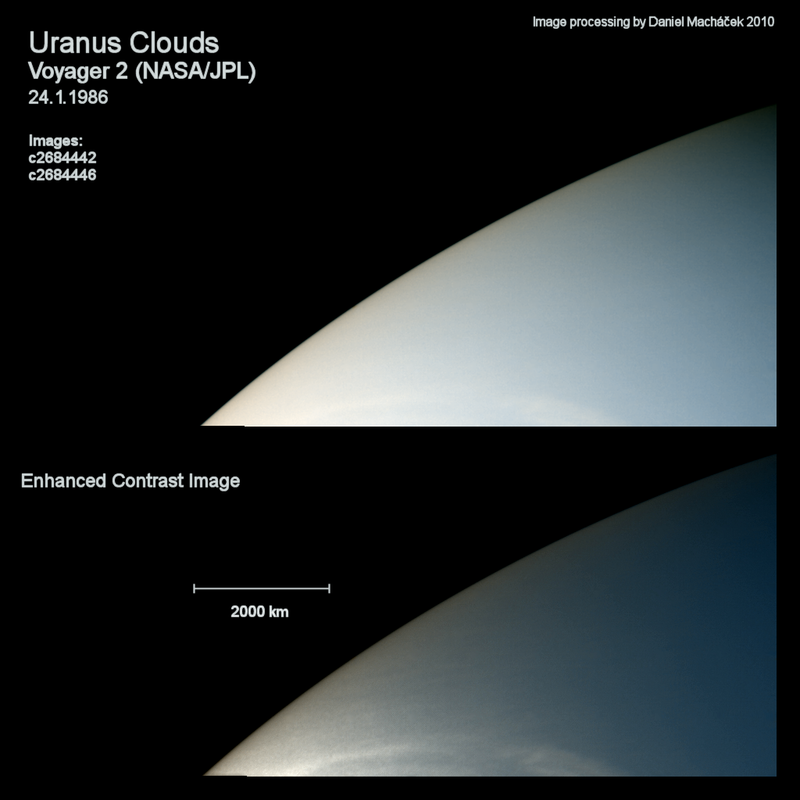 The methods of aerobraking should be feasible with the outer planets, even though there is a greater uncertainty in atmospheric density compared to other bodies (Mars, Titan, etc). In fact NASA has given serious consideration to the use of aerocapture for a proposed future mission to Neptune. I have no idea if we have the technology to do this for a New-Horizons-style rapid trajectory though -- that would be much more difficult. The higher the speed, the higher the accelerations and temperatures the probe must withstand, (so the probe needs a more massive thermal shield) and the thinner the viable entry corridor, (which is problematic with the uncertainty in atmospheric density). Even moving as slowly as possible would present a challenge, as you'd still be coming in at greater than escape velocity. One way of doing it might be to come in higher in the atmosphere and shed some speed, but not enough, and then to use engines to slow down the rest of the way. This aerobraking-then-burn technique would minimize the amount of propellent needed for delta-V while also minimizing the risks associated with atmospheric entry at high speeds under unknown conditions. I perform similar hybrid orbit insertion maneuvers in KSP and Orbiter on occasion. It is also necessary to calculate whether the increased mass of having a heat shield/aeroshell is worth the decreased mass of propellent. I think it would be, especially with the lightweight heat shielding materials that have been developed in recent years. Fuels aren't really getting any lighter. The main reasoning behind doing a Solar-Escape-To-Intercept trajectory is purely a matter of speed - a normal hohhman transfer to Neptune would take something ridiculous like 40 years, which is an unacceptable timeframe for this sort of science. Heh, here's an idea: send a mini probe to arrive a few months prior to the main orbiter, to produce as clear a model of the atmosphere as possible, then tweak the entry algorithm accordingly. The real good idea is put a huge powerful relay staion on orbit around every planet, and then we could send a dozens of micro-probes to planets and their moons each year. These probes is small, they don't have big parabolic antennae to connect with Earth, but uses a relay satellite for this. They have only small ion engines for orientation and orbit correction, and will be delivered to the planet with a single carrier. This carrier may be used as next/additional relay satellite. In this way we may have a personal orbiter at each planet and moon within 10 years. The shuttles were even more expensive, each launch cost over a billion dollars And it could only take less than 25 tons to orbit, so it was much more expensive than other vehicles. What we could do is to launch the probe and the orbiter on the same vehicle, like we did with Galileo and Cassini; the probe could be deployed long before reaching the planet, and it could enter the atmosphere weeks ahead of the main orbiter so that the data could be sent back and analyzed. In your scenario, the mass savings of eliminating the large antennas is not enough to make it cost-effective to send lots of spacecraft to various worlds, unless you make them so small as to be ineffective planetary science craft. What is really needed is a way to make space launches less expensive, and to also reduce the costs of building spacecraft by making standard designs and interchangeable mass-produced components. Work is already being done on reducing launch costs, but no major efforts seems to be made on making the spacecraft themselves less expensive. More effort needs to be devoted to this, and I think that this will happen quickly if launch prices drop significantly. People will realize that they can launch a lot more spacecraft, but only if they make their craft cheaper too. Then you will see rapid changes in spacecraft design processes and decreases in cost (also possibly decreases in quality, but that's unavoidable).